The Surgeon is an overlooked little hospital horror chiller that’s worth the price of admission just for the opening scene alone, a spooky black and white prologue in which a young boy witnesses a surgery gone horribly wrong, all set to that cheery ‘Lollipop Lollipop’ song, quite a memorable way to kick your film off. After that it’s fairly standard, as he grows up to be a scalpel wielding slasher who roams the wards of a huge hospital, killing patients, doctors and undergrads at leisure. Two intrepid doctors in training played by Isabel Glasser and James Remar are onto this beast and gradually begin to realize there’s foul play afoot, and the demented surgeon, played by Sean Haberle, continues his stealthy rampage throughout the halls. Malcolm McDowell is also there for a bit, sorely underused as an arrogant, short lived doctor who likes to trial weird drugs on chimpanzees in the basement. Peter Boyle chews scenery as a bumbling detective, Charles Dance has a fun bit and it all hurtles along like the B movie it is. That opening though, quite a well accented bit with the song, and an eerie setup for the schlock to follow. 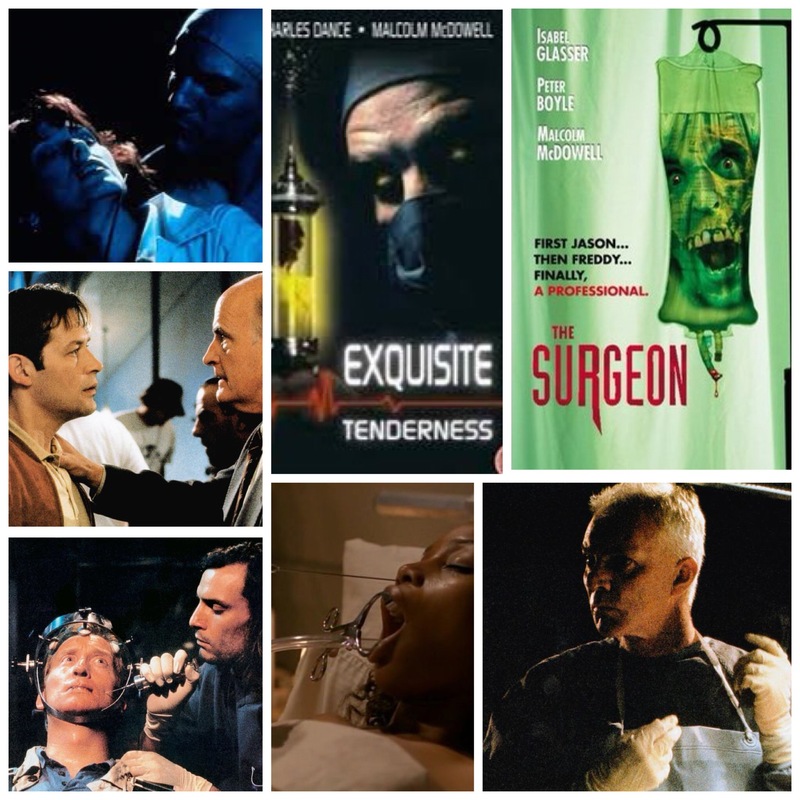 The film’s actual title on IMDB is Exquisite Tenderness, which was rebranded for DVD release as The Surgeon, which is slightly less.. European of them than the original one, but it does suit the low grade silliness. Decent stuff, for what it is. Weekly podcast discussing a film of the week, new and notable blu ray releases, new films in theatres, top five performances and collectibles. We like to podcast them softly, from a distance.